#UPDATE: Trump announced he was withdrawing troops from Syria, on the same day that the Treasury Dept announced they were lifting sanctions off of Oleg Deripaska's companies. 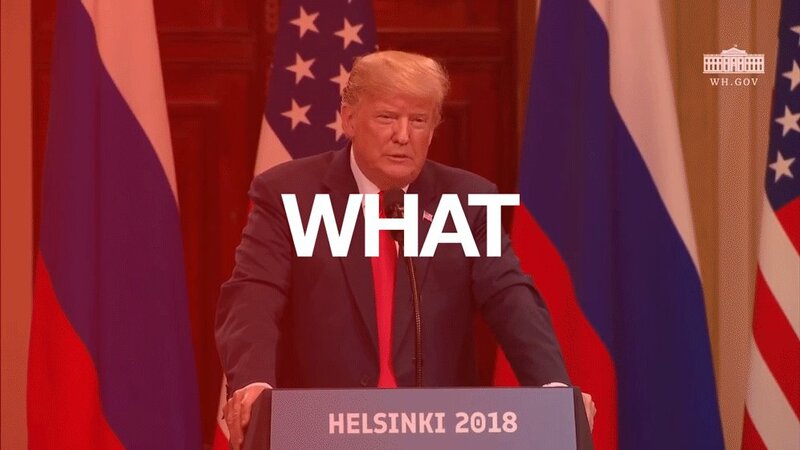 We can be pretty sure BOTH were discussed in Helsinki. #REDFLAG: "U.S. officials said there is NO DETAILED RECORD, even in classified files, of Trump's face-to-face interactions with Putin at FIVE locations over the past two years. Such a gap would be unusual in any presidency..."
Remember, he's on the House Intelligence Committee. He's voted with Nunes and the GOP on each and every measure, including on their sham "Russia Investigation" findings and today's vote against subpoenaing the translator. #FTR: We should applaud Republicans who break from Trump and their party. At the same time, we should be aware of their actions, and how, even as recently as today, they contradict their words. We must encourage them to take those words and turn them into concrete action. We should welcome Rep. Hurd's words and encourage matching action. I've feared we wouldn't see Republicans like Sen. Edward Brooke — the first (of many that followed) to break w/ the GOP and call for Nixon's resignation. I hope those fears are unfounded. #REDFLAG: SENATE REPUBLICAN LEADERSHIP DO NOT WANT TRUMP'S INTERPRETER TO TESITFY BEFORE CONGRESS. @SenJohnThune is "not sure what this accomplishes." The Translator must be brought before Congress. What was agreed upon? What was discussed? Call your Members of Congress! The Russian Military claims they're "ready for practical implementation of the agreements reached between Russian President Vladimir Putin and US President Donald Trump..."